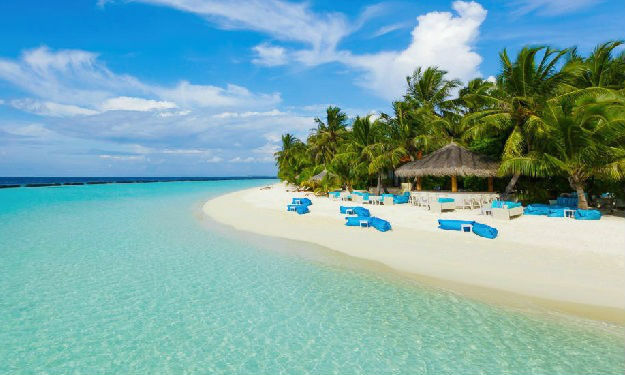 Paradise Island Resort and Spa is located amongst a host of coconut palms, a spectacular lagoon in deep blue crystal clear water and a series of pure white sand beaches. 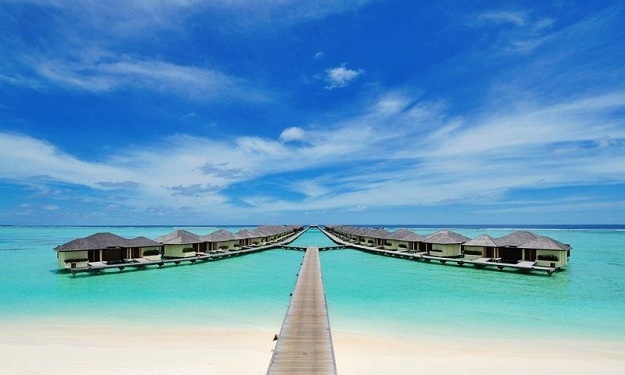 The resort literally lives up to its name ‘Paradise’. 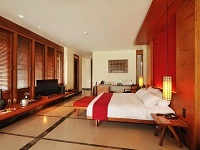 It creates a magical fusion of comfort and luxury. 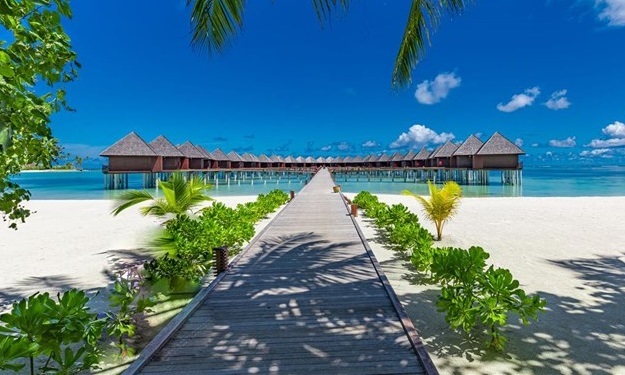 The never ending sea, sporting facilities, plush dining spots, spacious accommodation and lush green tropical gardens are all interconnected with the help of paved pathways. 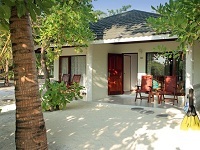 This gives you the perfect opportunity to explore every corner and aspect of the island. 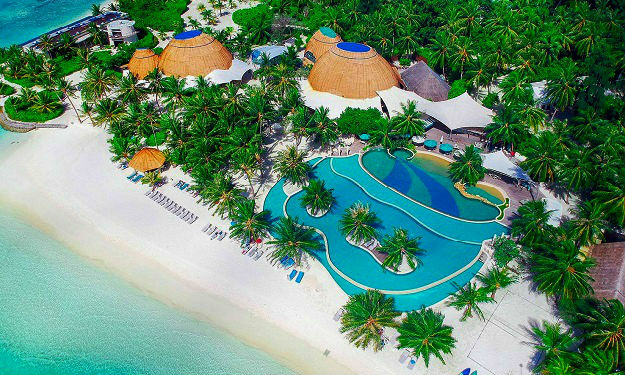 If you are truly looking out for an authentic Maldivian kind of setting, Paradise Island Resort and Spa is highly recommended for an unforgettable holidaying experience. 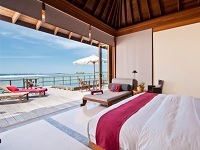 Water villas are Paradise Island Resort’s ultimate accommodation. Bright, spacious, and luxuriously appointed, they are what dreams are made of. Either facing sunrise or sunset, every Maldives water bungalow features steps down to the crystal clear lagoon below – perfect for swimming or a snorkeling adventure. 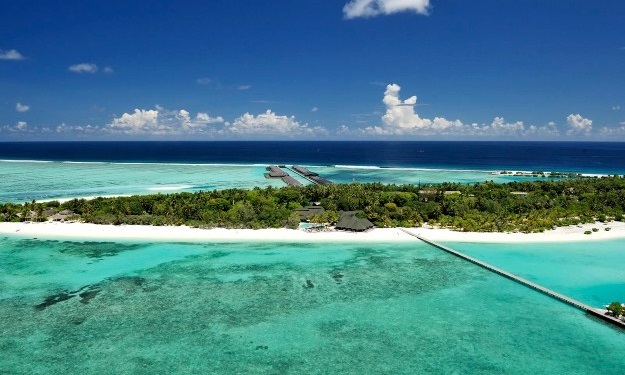 Spend your days relaxing only a few feet above the blue waters of the Indian Ocean, soaking up the sun from your private chaise while getting pampered by attentive staff. 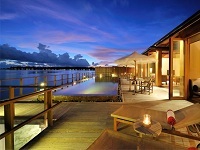 The Araamu Spa is located in a nice blissful corner of the Paradise Island Resort and Spa. The location of the spa itself is in soothing environment and hence you get introduced to peace, the moment you enter inside. Radiance, vitality and health are rediscovered with the help of some of the treatments that the spa has on offer. There are a host of services offered inside and you get the opportunity to choose anything out of the menu. The Swedish massage is one of the specialties of the Araamu Spa. Delphis Diving Centers takes care of all the diving. 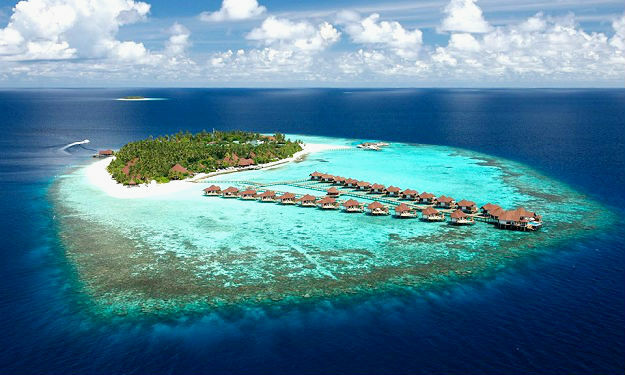 With a perfect safety record, they are able to show you with ease the best diving places in the North Male Atoll. 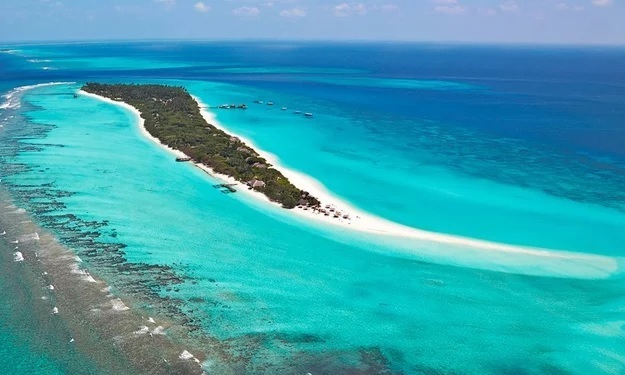 All the Delphis instructors are having years of experience in Maldives and are able to offer you the helping hand exactly when you want or need it. 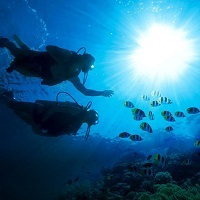 If you are an experienced diver you can benefit from their knowledge of the divesites, so that you will be able to get the most out of each dive. Paradise Island offers you a wide range of diving course being offering courses of PADI, BSAC, SSI & CMAS by qualified instructors. 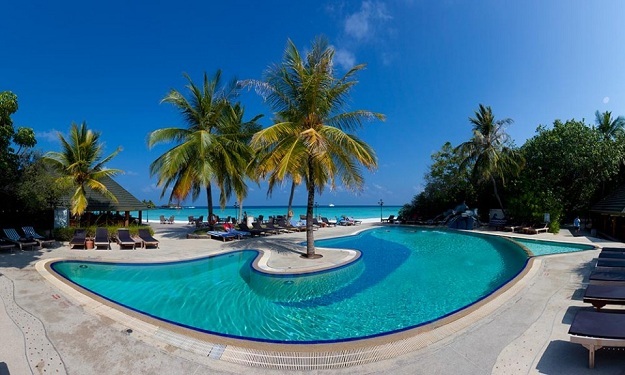 Water Sports - Paradise Island Resort & Spa Maldives The Villa Water sports Centre in Paradise Island offers courses in windsurfing and catamaran sailing in addition to excellent facilities for a variety of water sports. The centre, located at the northern end of the island is equipped with the best. 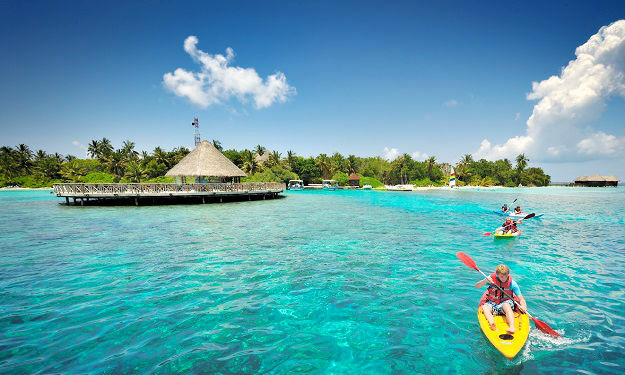 The big shallow lagoon surrounding the island is a safe and convenient place to learn windsurfing or catamaran sailing or enjoy any of the water sports offered. Water bikes, paddleboats, water scooters are also available for you to paddle around in. Banana Riding, Fun tubes, Knee boarding, Water skiing would certainly give you the opportunity to get some excitement in the water. Enjoy a romantic sunset ride on a two-seater paddleboat or ride the waves on a water scooter with the spray and wind on your face. 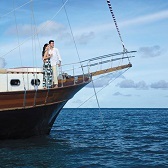 Plan Maldives Whale Watching Tours, Shopping Sprees, And More Paradise Island Resort & Spa might charter more Maldives fishing trips than any other resort. Invite you to enjoy it early in the morning or with a group at sunset. Try trawling for tuna or head out to the high seas for a big game fishing adventure. 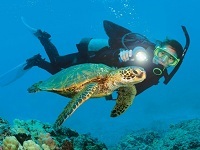 Or glide through the Indian Ocean depths on a Maldives whale submarine. To see the islands from a truly breathtaking perspective, hop aboard a seaplane for a photo flight tour. 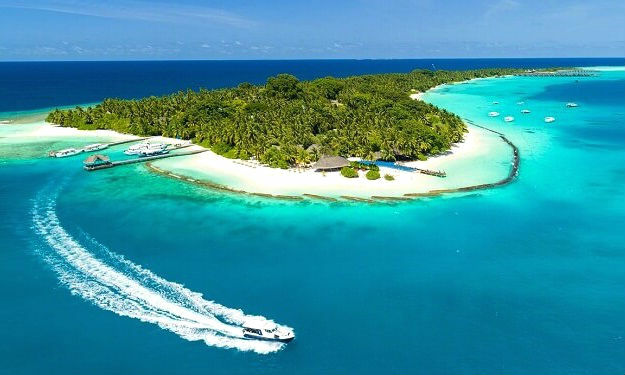 For a delightful change of pace, visit one of the many nearby resorts or catch a glimpse of daily Maldivian life in one of the fishing villages. Or if city living is more your style, allow us to plan a day of shopping and sightseeing in Malé, the islands’ vibrant capital city. State of the art equipment is available in the gymnasium where guests can spend hours. The equipment comprises of both, strength training as well as cardio. By having a short jogging session on the treadmill, you could elevate your heart rate instantly. You could also choose to strengthen and tone up your muscles with the help of dumbbells. 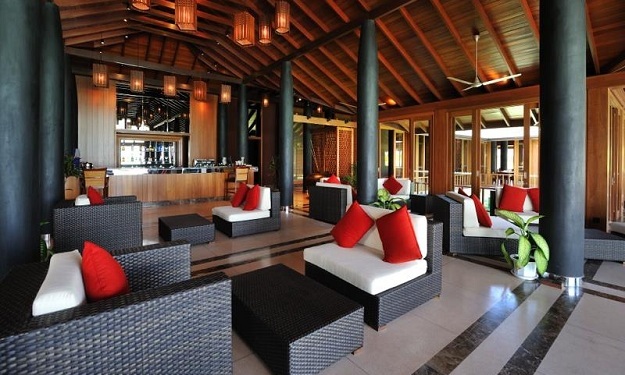 Beach Volleyball is available at the Paradise Island resort and Spa. 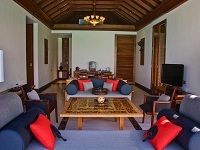 You could also have a game of basketball and a fantastic billiards table is available at your service. You could also spend some time playing table tennis. 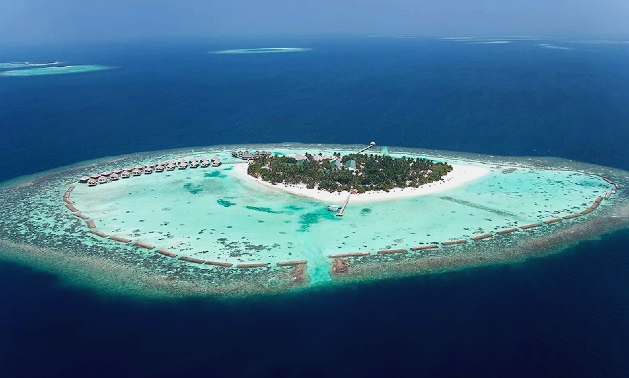 A Simply Inspiring Maldives Wedding Reception Destination Make your Maldives wedding reception celebration, or special gathering one to remember amid the oceanfront tropical splendour of Paradise Island Resort & Spa. 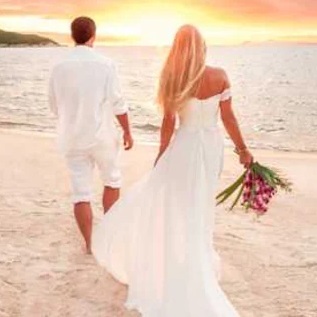 Stunning views of the Indian Ocean and surrounding beaches will inspire colleagues or set the perfect mood as you renew your wedding vows during an unforgettable sunset ceremony. The Italian restaurant and bar built on stilts over the house reef facing the setting sun in the evening and overlooking the blue ocean is rich with flavours of Rome and an atmosphere that captures the Italian passion for good food, superb and carefree blissful pleasant times. Beverages and meals are served on the open air terrace, which offers an intimate and cosy atmosphere where you can enjoy your favourite Italian dish or cocktail. 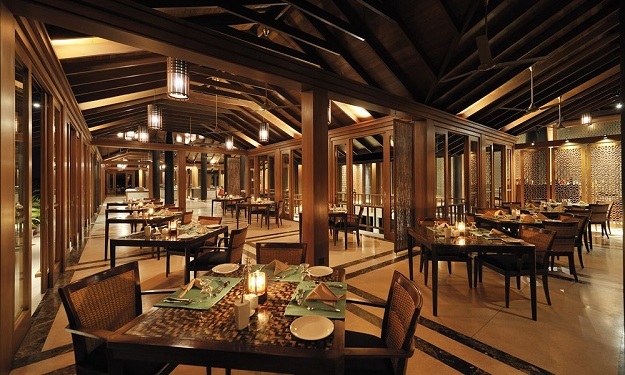 The Japanese restaurant offers a complete a la' carte' menu and variety of dishes. Experiment the excitement of live teppanyaki style cooking as the chefs prepare your favourite sea food, chicken and steak or fresh sushi and sashimi. A wide selection of sake and Japanese beers are also available. 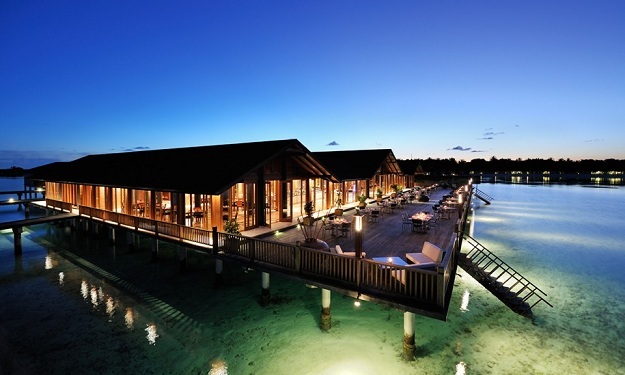 The sea food restaurant build on the edge of the reef faces the sunrise and the breathtaking Indian Ocean. 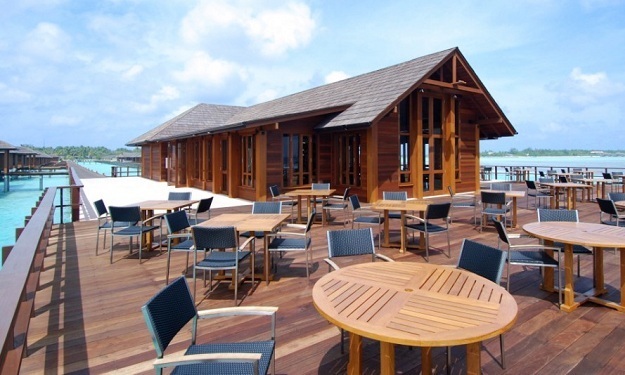 It offers a unique dining experience with an easy-going ocean view ambience and serves a variety of seafood including the Maldivian lobster. The adjoining large open air terrace offers a relaxing atmosphere where you can have a drink, a light meal, afternoon tea or an after dinner cocktail.